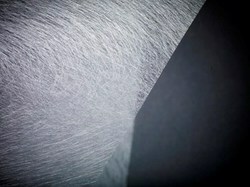 SIPLA Fiberglass Tissue is available from 35 GSM to 100 GSM. The entire range with the major requirement of 20 gsm and 30 gsm from the industry. We are offering a wide range of Fiber Glass Tissues. Our these Fiberglass Tissues are very high in demand and are widely used. - It is a non woven felt made of randomly oriented glass fibres distributed in a special binder by a wet-lay process. This material is used in composite surface applications. A wide range of Fiberglass Tissue is offered by us to customers. Keeping in mind the diverse requirements of our clients, we are engaged in offering a wide range of Glass Wool all over the country. These products are rigorously checked by the quality detectors and are authorized as per the international standards. The Glass Wool we offer is widely used for the thermal insulation for external walls and ceilings. We are offering Twiga Fiberglass Tissues to our clients. In order to meet the varied necessities of our clientele, we are occupied in offering a stunning assortment of Fiber Glass Tissue. 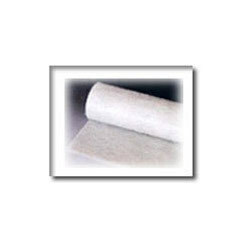 We are presenting an excellent quality assortment of Fiber Glass Tissue Paper. Fiberglass Tissue is a non-woven E-or C-glass fiber mat, product manufactured by spreading continuous filament roving of 50mm in length randomly and uniformly in combination with polyester binder in powder form (or other binder in emulsion form). This product is characterized by good combination of resin, easy operation, good wet strength retention.